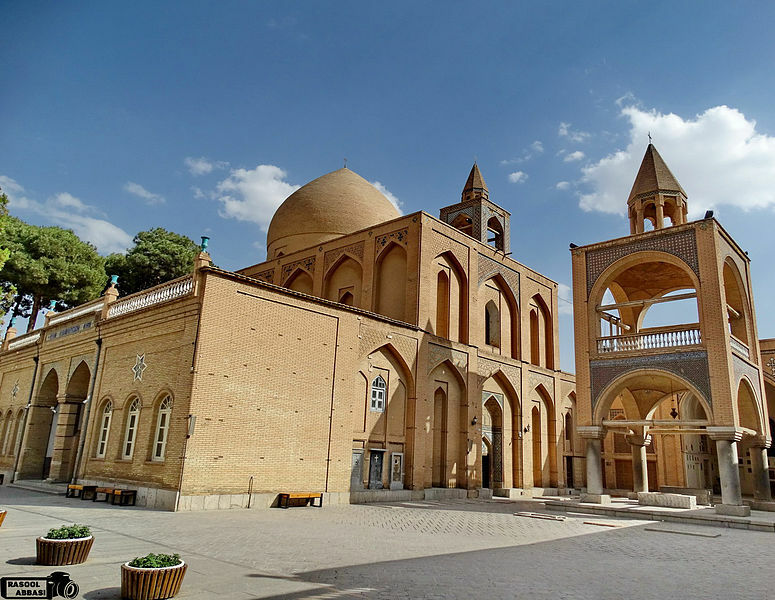 Vank Cathedral – an Armenian Church in Iran. Astrology, architecture, art and astrogeography: the wonderful frescoes of the Holy Saviour Cathedral in astrogeography. 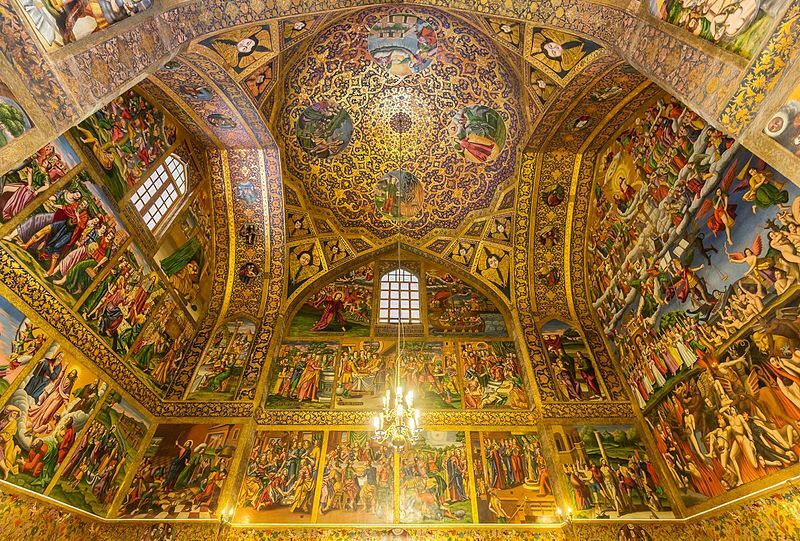 Vank or Holy Savior Cathedral in Isfahan, Iran commonly referred to as the Vank which means “monastery” in Armenian language. was established in 1606, dedicated to the hundreds of thousands of Armenian deportees that were resettled by Shah Abbas I during the Ottoman War of 1603-1618. 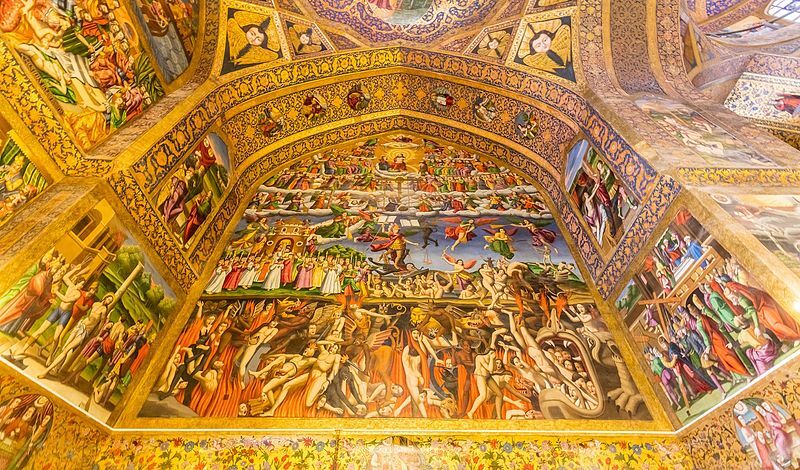 The interior is covered with fine frescos and gilded. The delicately blue and gold painted central dome depicts the Biblical story of the creation of the world and man’s expulsion from Eden. Pendentives throughout the church are painted with a distinctly Armenian motif of a cherub’s head surrounded by folded wings.Two sections, or bands, of murals run around the interior walls: the top section depicts events from the life of Jesus, while the bottom section depicts tortures inflicted upon Armenian martyrs by the Ottoman Empire.